Buy Microwave tunnel wood dryer--industrial microwave dryer - Shandong Leader Machinery Co.,ltd. Microwave wood drying machine is widely used in wood industry, furniture industry and flooring industry for wood drying. more advantages, which are heating evenly, short processing time, the level of autoimmunization is high and can produce continuously. the dry time in microwave drying method is much shorter than that in any other conventional drying methods. do not need heat transfer process. Although thermal conductivity is poor materials, also can achieve heating temperature in a very short time. transmission loss outside, almost no other loss, so high thermal efficiency, save energy. won't appear the endogenous phenomenon focal. microwave heating or terminate immediately, use microwave equipment can process automation control of heating process and heating process specification. no radiation hazards and harmful gases, do not produce the waste heat and dust pollution; Neither polluting food, also do not pollute the environment. For the whole Microwave tunnel wood dryer--industrial microwave dryer,warranty is 12 months,within 12 months,if have equipment quality problems,we will provide accessories freely. After the expiration of the warranty period,if have spare parts problem,we only receive the cost of required replacement parts.We commit we will provide free technical support of equipment all whole life. Our company has engaged in producing and exporting Microwave tunnel wood dryer--industrial microwave dryer for many years, and until now, our machine has exported to overseas market, such as Brazil, India, Indonesia, Russia, Thailand and so on, and get the foreign customers' unanimous praise. We believe that you purchase shandong leader machinery co.,ltd. 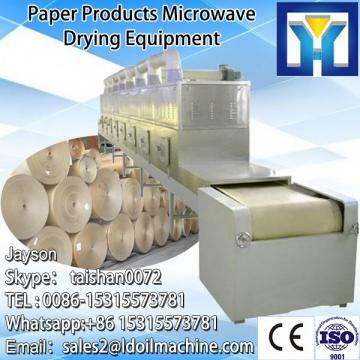 Microwave tunnel wood dryer--industrial microwave dryer is your best and sensible choice.